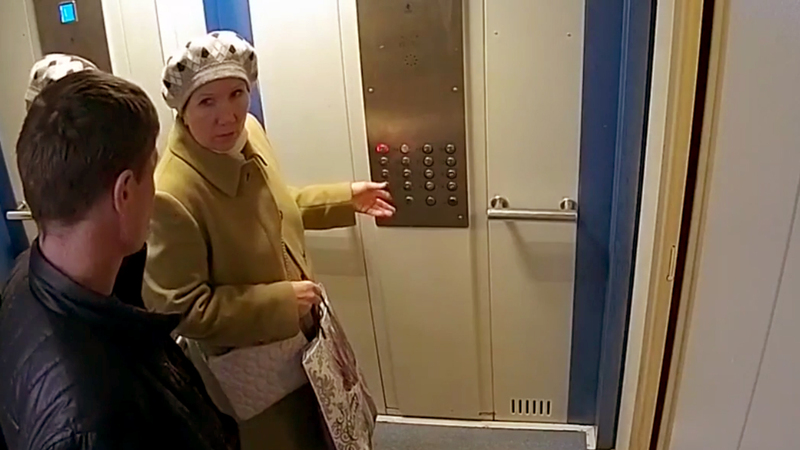 Some people are afraid of lifts, which I’ve never really understood, until I watched this video. What looks like a normal polite exchange between two strangers in a Moscow lift quickly takes a dark turn. 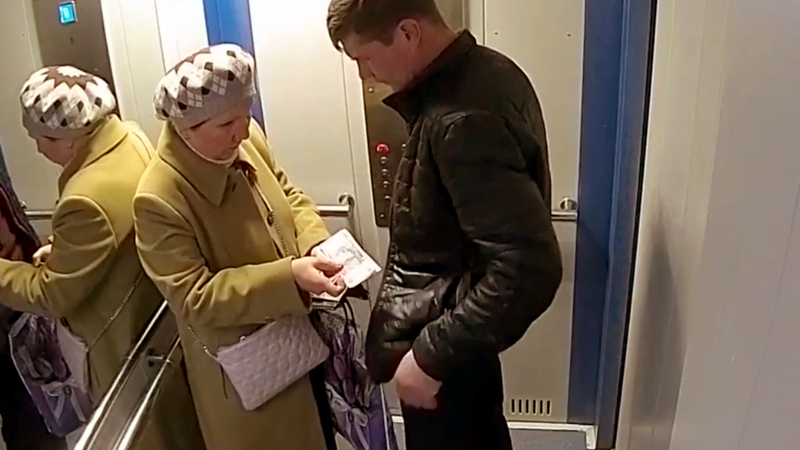 An older lady enters the lift followed by a younger man in a leather jacket. The lady seems to ask the younger man which button he’d like her to press. As soon as the door shuts the young man pulls a knife and waves it in the ladies face, presumably while demanding money. 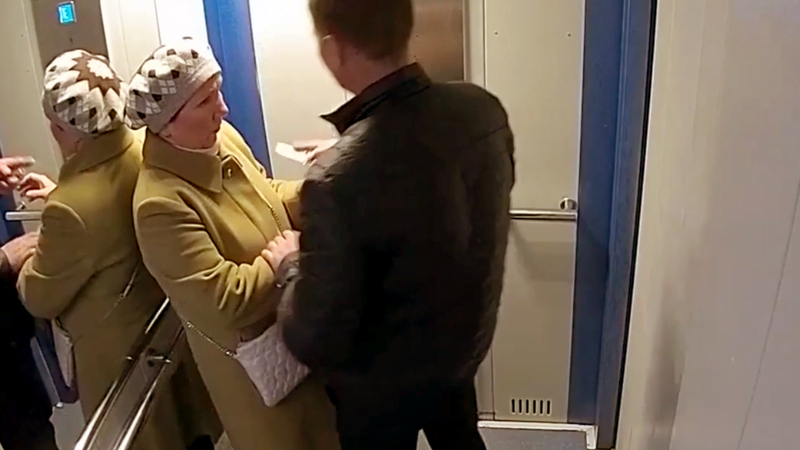 While this is a cowardly mugging of an older lady, you’ve got to hand it to her, she remains incredibly calm throughout what must have been a terrifying incident. I’d have definitely done a small wee if someone started waving a knife around, let alone in such a confined space. According to The Mirror the mugger got away with 3,000 RUB (£42). 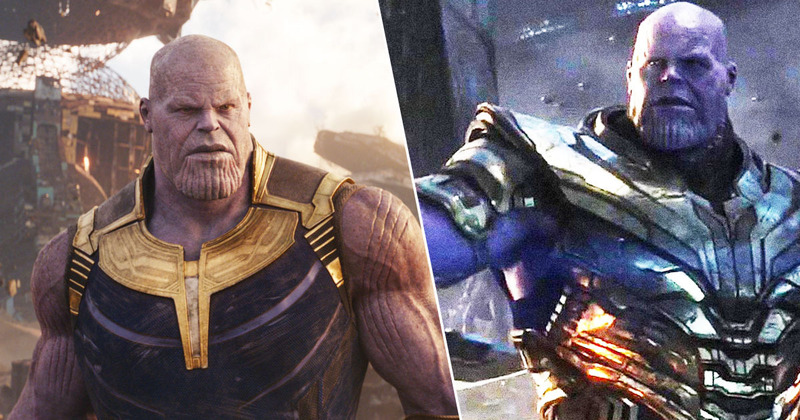 Thankfully, based on these CCTV images, police managed to track down a suspect, a 38-year-old man whose name has not been disclosed.